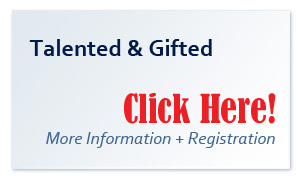 The Talented and Gifted Program was initiated by Walters State Community College in April of 1982. The program's inception was the result of a request by the Superintendent of Cocke County Schools proposing that Walters State Community College design an instructional program to provide enrichment activities geared toward gifted students in the upper East Tennessee area. T.A.G. consists of approximately 35 programs offered multiple times which have been designed to stimulate and challenge East Tennessee's gifted students from the fifth, sixth, seventh and eighth grades. The classes are instructed by area experts and are conducted in such a manner as to encourage student participation in hands-on activities, as well as verbal participation. The Division of Community Education is currently gearing-up for our 31st year of the Talented and Gifted program.